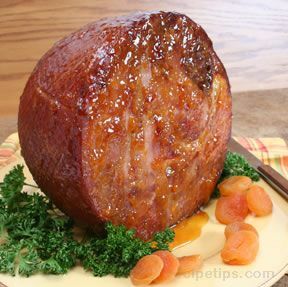 Basting your holiday ham with this sweet and sour ham glaze will give it a boost of flavor. Reserve some of the glaze for serving with the ham. Learn how to prepare and bake a ham with advice from our ham cooking guide. 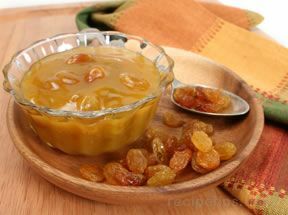 Purée preserves in a blender. 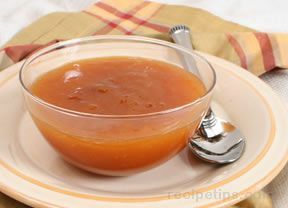 In a sauce pan, whisk orange juice, apricot preserves, brown sugar, and corn starch until well combined. 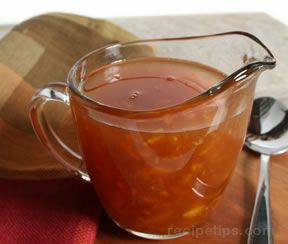 Cook over medium low heat until slightly thickened, stirring frequently. Add mustard and brandy; whisk. Continue cooking over low heat 1 to 2 additional minutes. Spread glaze on ham during the last 30 minutes of baking. Reapply during the last 15 minutes, if desired. Serve extra glaze along side of ham.